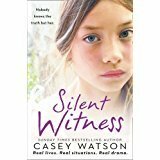 It’s Christmas Eve when Casey and Mike Watson receive a call from their fostering Link Worker with an unusual request. Though they are on a break, ready to take in a new child in the new year, he wants to know if they’ll take in a distressed twelve year old girl within the hour. Bella, it turns out, has just been placed in care; she’s been at an emergency placement for just under a week, after being taken from her home following an incident of domestic violence. John's not able to tell Casey a great deal more. Only that Bella’s mum and her partner have always had a volatile relationship; violent fights and drunken arguments have been the norm. Social services have been called out on a couple of occasions in the past, neighbours having insisted that the child must be at risk, just from the screams and shouts they could hear from next door. However, according to the social workers who saw her on these occasions, Laura, Bella’s mpther, seemed to love her daughter passionately, and had convinced them that she was going to make things change. She had also assured them that her partner never laid a hand on Bella – only on her, and only when he drank – something he was apparently getting help for. Those assurances now seem rather hollow. The violence had obviously flared again, the result of which was that Bella’s step-father was now fighting for his life in hospital and Bella’s mum, who is claiming she was acting in self-defence, is on remand in prison, leaving Bella deeply traumatised and with nowhere to go. Yes, there are maternal grandparents keen to have her, but Bella has categorically refused to go there, so up to now she’s been with emergency carers. There’s no question that Casey and Mike will take Bella in, and the family quickly rally round to welcome and support her in the most frightening and bewildering Christmas she has ever known. But it’s with heavy hearts. Because whatever happens now, this poor child’s life has disintegrated around her, and the chances of her being reunited with either parent again are slim, even if her father pulls through. Casey Watson has been a specialist foster carer for six years. During this time she has welcomed 14 difficult to place children into her home. Casey has spent the majority of her adult life working with young people from disadvantaged backgrounds. This includes two years running behavioural units in schools.Casey combines fostering with writing, usually late at night when the rest of the household are sleeping. Casey’s own son has Asperger’s Syndrome but is high functioning.